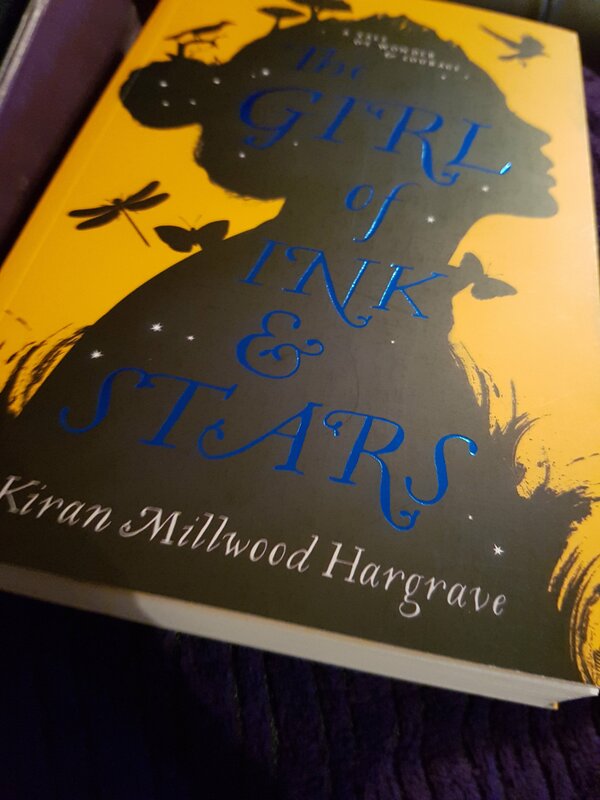 This is an incredibly accomplished debut novel – it made me think of the brilliant Isabel Allende in style and the plot is mythic and magical and marvellous. It’s no surprise this is a bestseller. Isabella lives with her father, a master cartographer on an island governed by strict rules – an entire section of which is out of bounds. When her father is arrested and her best friend goes missing, Isabella gathers her courage and the maps that decorate her home and sets out with the rescue mission. I don’t want to give away any of the island’s secrets so just go read this for yourself. I do love getting unexpected blogger mail like this rather fab book. The first in a new series of YA adventure, with a strong female protagonist and great supporting cast. Gwendolyn Bloom is a diplomat brat – she’s lived in a dozen countries and speaks several languages, some better than others. But now she and her dad are living in New York where she’s struggling to fit in at school and hanging out with the elderly couple downstairs. One day she comes home to find her dad has disappeared while at a meeting in Paris. After sniffing out a conspiracy, Gwendolyn realises she is the only person who can rescue her dad. The writing is sharp, the plot grips and zooms along at a pace which I really enjoyed. I love a good thriller and this is an excellent one. I cannot wait for book two. Calling all Labyrinth fans – this book, inspired by the author’s love of the film starring David Bowie as the Goblin King is a musical journey into the Underworld. Liesl lives with her family in Germany near the Goblin Grove deep in the forest. She dreams of being a composer and her brother, the other half of her soul, plays her compositions. Her music attracts the attention of the Erlkonig (Goblin King) and his minions. Drawing inspiration from Christina Rossetti’s poems as well as the aforementioned film, as winter turns, can our heroine escape the goblins’ lair and return to the World Above before the memory of her fades forever? 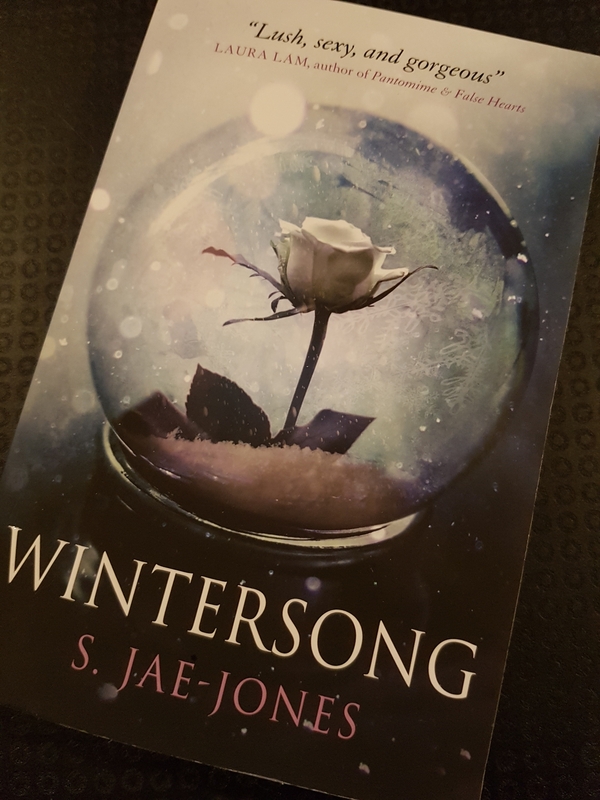 I really liked this – fairy tale retellings are a bit favourite of mine and this is a well written one. German fairy tales aren’t as widely known as they should be, especially not the darkness within. 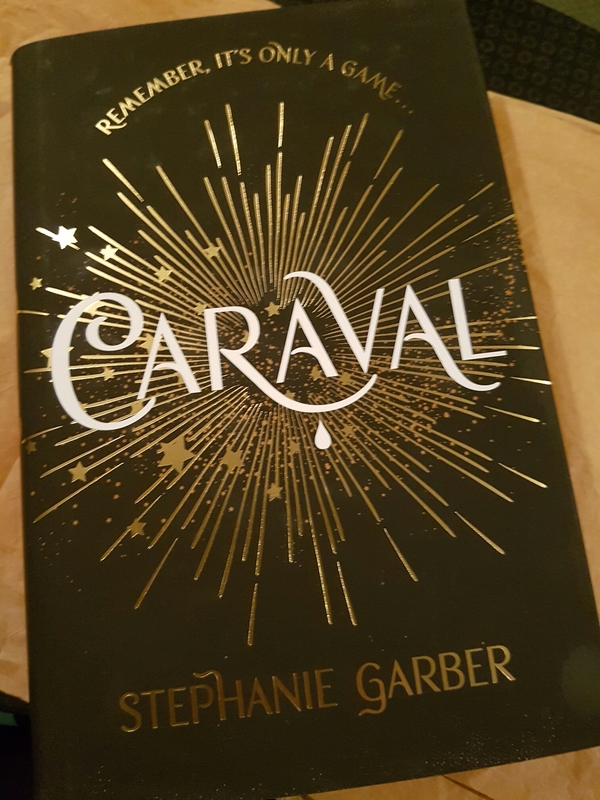 This book was in my most recent Illumicrate, which means it’s a bit of a lucky find – I might not have read it otherwise as there are so many great books out there. If you like romance, adventure, fairy tales and plucky heroines, this book’s for you. This has been incredibly well promoted and publicised online so when I got a copy I was quite keen to see if it lived up to the hype. Firstly it’s a good looking book, I know you should never judge a cover but it does add something when the book looks good too. I’m very into books set at fairgrounds, carnivals and freak shows, I think it’s my preference for the “other” in fiction. Caravel is set at something between a carnival and a theatrical experience – a living theatre that has been known to drive people a little mad. Scarlett and Donatella are ruled by their strict and cruelty father but Scarlett’s upcoming marriage to a man she has never met could equal freedom. However Scarlett has been writing letters to the mysterious Legend, who owns Caravel, and shortly before she’s due to marry, he finally invites the sisters to his private island to play his twisted game. If they go, it could change everything. This is YA fiction and sometimes the best books come from this genre. Unfortunately I don’t think this is one of them. The premise is great but it struggles in the execution. At times the plot felt a little weak and repetitive, at others the characters grated slightly. It wasn’t the worst book ever, not even close, but I’m not desperate for the sequel (which is bound to be written considering the ending). It just wasn’t up there for me. I think Angela Carter ruined this style of Magical realism for me (Nights at the Circus is sublime fantastical writing). This was one of the books in my recent Illumicrate and the first one I read. 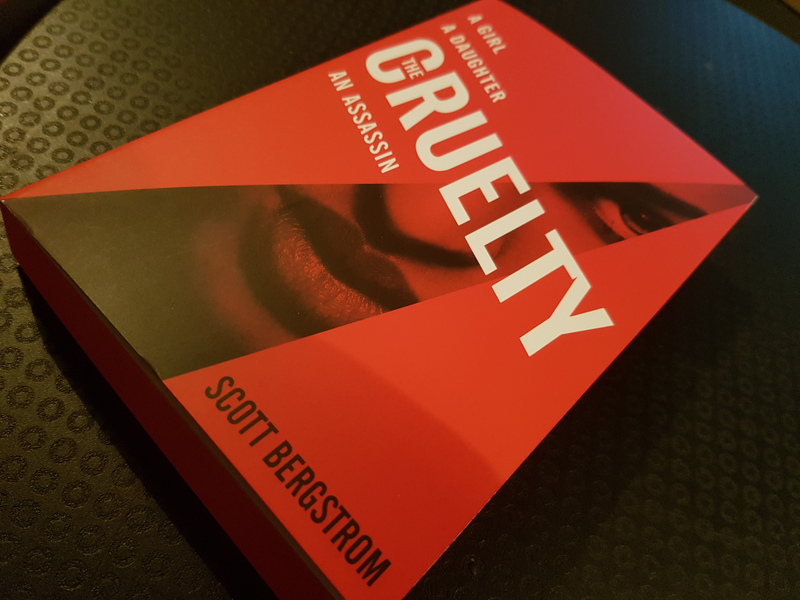 Laure Eve wrote a letter included in each box that explained some of her influences – including the film The Craft (so good) but I also get a sense of The Heathers (also very good – I like my teen movies dark). The Graces seem to lead a charmed life and attract many devoted followers, but rumours still dog the family. Rumours about curses and terrible events. New girl in town, and our narrator, who calls herself River but never reveals her real name, is drawn to the three Graces – Summer and her older siblings’ twins Thalia and Fenrin. But she has secrets too and hers could ruin everything. I really liked the writing and the clever narrative structure, hinting at things but keeping the big reveal till the end. I often say that YA writing is some of the most interesting, freer than adult literature to explore ideas and stories. And this is a great example of that. A sequel will be released in 2017, and I will be looking out for it.